Fancy watching the first three seasons of The Walking Dead again? Need to catch up on some episodes that you have missed? Here’s your chance! The Walking Dead marathon is here for the rescue. 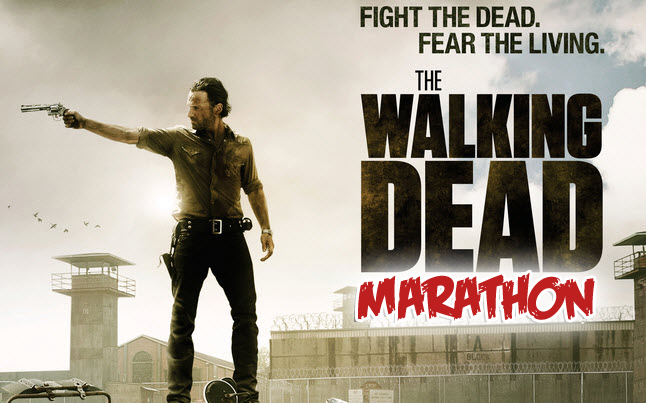 Starting today at 8:00 PM EST, AMC is running a week long marathon in anticipation to the Season 3 finale next Sunday. The first season of The Walking Dead will start tonight with the first 4 episodes, and then it will finish off tomorrow night with the final 2 episodes of the first season. The marathon will then go into the second and third seasons during the rest of the week.